Chen, 44, didn’t always have sculpting aspirations. After earning an economics degree from Stanford University, she worked at a stock brokerage, taught English in Japan and even did volunteer work with primates (including Koko, the famous gorilla who “speaks” American Sign Language). It was when her father passed away in 1988 that she took a chance on an art career. “My father had commissioned a friend from China to paint my mother’s portrait, and he was the first fine artist I’d ever met,” she says. “He opened my eyes to the possibility of art as a career.” She made her first sculpture—a gorilla—out of hobby clay, and with her artist-friend’s encouragement, pursued art full-time. “I discovered I had a knack for working with my hands—and that it really makes me happy,” she says. Chen’s work costs between $95 (for sterling silver jewelry pieces) to $20,000 (for large outdoor sculptures). 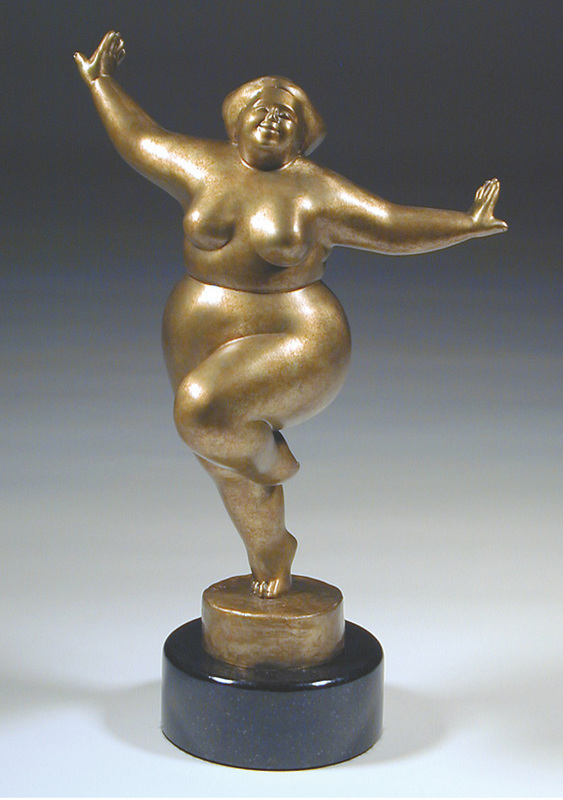 Felicity, a limited edition statue, sells for $2,200.